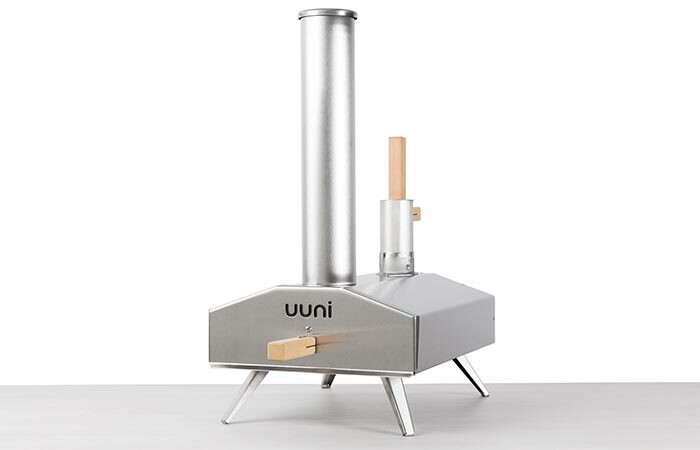 With the Uuni 2S Oven, you can prepare wood-fired pizza in just a few minutes. The short cooking time is perfect for preparing all types of pizza but also bread, fish and veggies. This new centerpiece in your backyard is a great reason to gather friends and family to enjoy delicious food. The oven weighs only 24 lbs, making it easily portable. It comes with a stone baking board that will give that perfect taste and crust. It does that by soaking up the heat from the flames and then releasing it back into the food. As for the temperature, it can get up to 932°F. When it does, it takes a bit more than a minute to finish cooking your pizza. Given that it weighs just 24 lbs, it’s easy to transport this wood-burning oven. 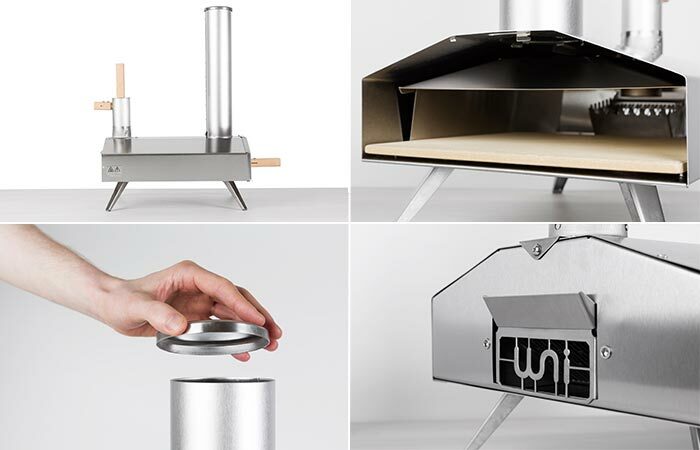 It’s crafted out of brushed stainless steel and comes with a stone baking board. 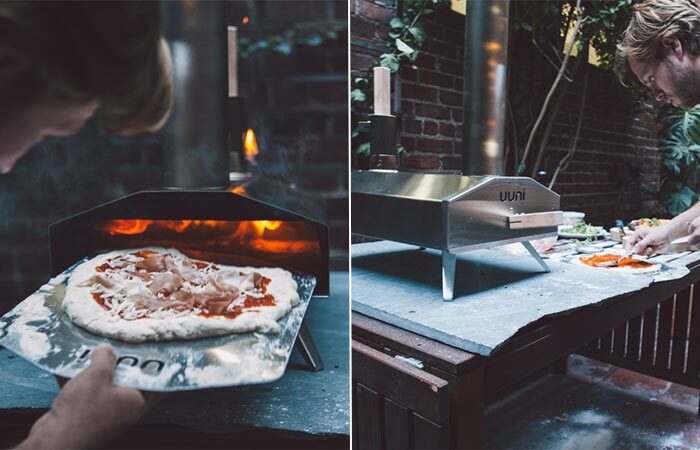 Uuni 2S Pizza Oven can reach the temperature of 932°F. To put it differently, it heats up in just 10 minutes and can cook a pizza in under 2 minutes. The oven uses wood pellets that are easy to ignite. They are also energy-dense, not expensive and a sustainable energy source. Once you start a fire, it takes around 10 minutes for the oven to heat up completely. Another key feature of this Uuni Oven is the material, it’s made from brushed stainless steel that won’t rust and contributes to the durability. The wood pellets you need for cooking are affordable, available and easy to ignite. Without the legs, the dimensions of the oven are 4.7 x 13.7 x 18.8 inches. You can fit a 13-inch pizza inside. Besides the oven and a stone baking board, you’ll also get a pizza peel and a manual with safety instructions. Check out this video and learn how to use Uuni 2S Pizza Oven step by step.